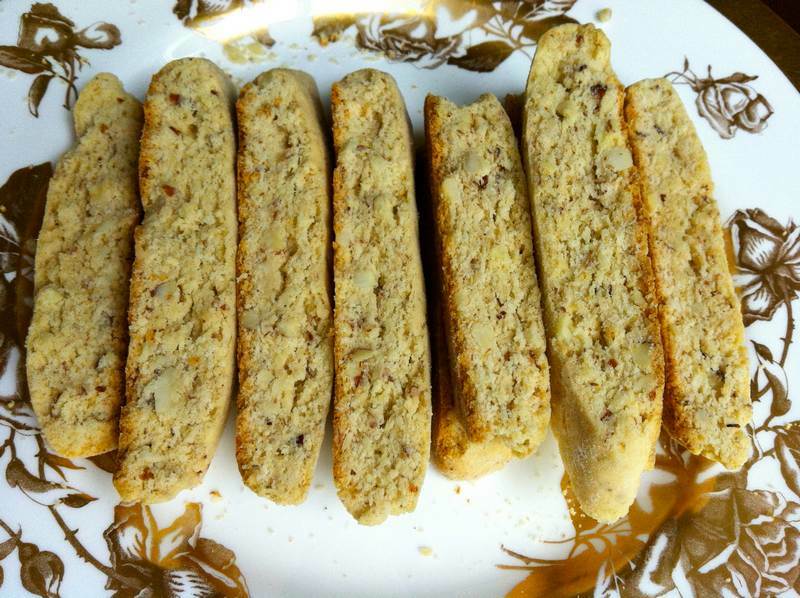 Just tasted these Mandelbrot (or almond bread) cookies, at my friend Shelley Alper‘s house. Her daughter Michelle baked them for the holidays. 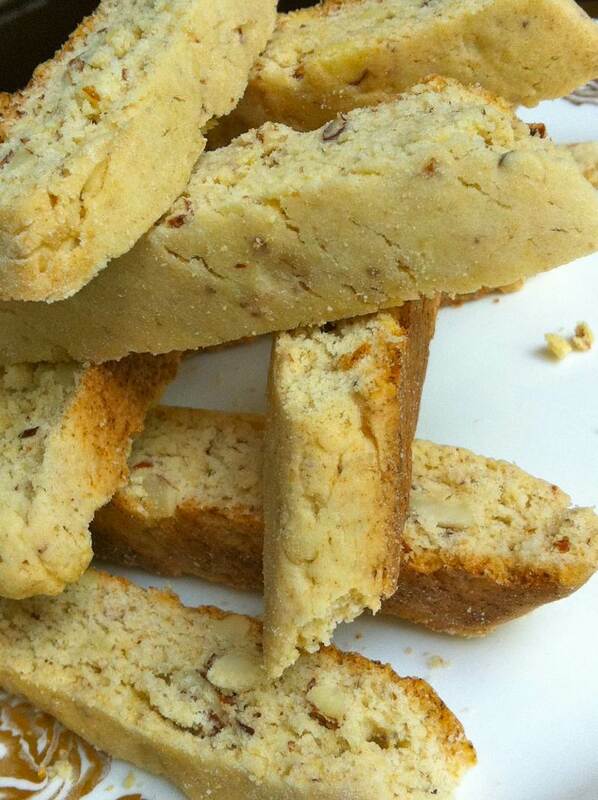 The recipe was passed down from Shelley’s mom Bess, so they are a multi-generational treat. Do your friends and family a favour and bake up a batch asap! Add sugar gradually to beaten eggs, and mix well. Add oil and vanilla, mix, then add flour sifted with baking powder. Add almonds. Shape into 4 rolls. Bake on parchment in a 350F oven for about 30 minutes. Remove. Cut into 1-inch pieces. Put the mandelbrot back in the oven for 5-8 minutes. Watch carefully so that they don’t get brown. When Shelley’s not overseeing holiday meal prep, she’s healing the world, one ache at a time. You can find out all about it at Physio Shelley Alper. For another take on Mandelbrot, check out Your Jewish Mother. This recipe card was taken from Bess’s Mount Carmel Chapter, Hadassah fundraiser recipe box. There’s something about an old recipe box that the computer just can’t replace. Google has 101,000 links for Mandelbrot recipe. This will make 101,001. Any recipe this popular must be worthwhile! Happy Rosh Hashanah to everyone who celebrates the Jewish New Year. May everyone on this planet experience a happy, healthy year. I always made the Noreen Gilletz recipe but will give this one a try. I loooooove madelbrot. I cut these with a crinkle cutter for a different look. Thanks for the good wishes Christina. Happy New Year to you too! The crinkle cutter is a great idea. these cookies were cut on an angle for a sharp look. Thanks for sharing the recipe. My next mandelbrot bake will be yours.